I like to watch American Idol or the Voice. All the singers sing well or they would not have gotten past the auditions. But each week they become better. If they want to become stars, they have a great deal more to learn, then just singing. They learn dance moves and how to hold a microphone. They learn about makeup, hairstyles and costuming. But the most important thing they learn is how to engage their audience. The judges are always telling them different ways to express their emotions in voice and actions, so they can better engage the audience. Writers must do the same thing with actions and dialog if they want their story to engage their readers. Writing is an art like singing or playing the piano. If you wanted to become a singer, I would first tell you to start singing. For someone who wanted to become a piano virtuoso, I would suggest they practice. 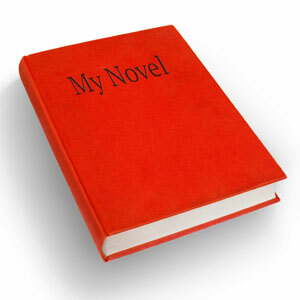 If you want to write a bestselling novel, I would tell you to start writing. That is the only way to become great at anything. If you want to write a bestselling novel, you must practice. Like any artist, a great writer must practice. Bestselling authors have learned more than just good grammar and correct punctuation. People can go to school to learn the fundamentals. If that, by itself, made great writing then anyone could do it. To become a bestselling author, you must learn to engage your audience. You need to create interesting characters that captivate your readers, a fascinating and original story. Then you must have opposition, and conflicts that add zest to your novel. The writing needs to engage your audience to keep them riveted to your story. Writing a bestselling book is not easy. If your want to perform Beethoven on the piano, you would not expect to start with Beethoven. You would start with chopsticks. You would learn to use a metronome and work the pedals. But to give a really great performance, you must learn to engage your audience. You would not believe someone could be great the first time they sang or played the piano. Why would you believe someone could write a bestselling novel on their first try? The difference between being just a writer and becoming an artist; is an artist has learned how to engage their audience. There are many techniques evolved in creative writing. One of the reasons we started this website was to help new writers learn the techniques of great writing. There are two ways to become a bestselling author. #1 Is to write a great many articles, short stories or even blogs, until you learn the craft. Blogging is a great way to start, because you get immediate feedback about your writing style. Submitting stories and articles for publication gives you insight into the publishing world. You will learn how to engage your readers with your writing. #2 The second way to become a bestselling author is to take your idea and write it. Get your thoughts out of your head and onto paper. Make an outline of your plot and characters or simply start writing your novel. Then revise it. Edit it. Rewrite it. Revise it again, and again, until it becomes great. Amazingly, it will continue to improve. The opening of your novel needs to invite your readers into the story. You want them to quickly feel a part of the action. Involve your readers in the emotional aspects of the situation. Create characters that resonate with your readers. Characters need to be realistic in order to engage your audience. You want your readers to care about your main character. Make them likable and dynamic. Weave backstory into your novel. You want your readers to know and understand your characters past and how it affects the current situation. Explain your character’s motivation. Even if your character makes mistakes, if your readers know why, they will still cheer for them. Readers yearn for deep emotional connections both in life and in stories. You must help your readers feel the pain, sorry, or joy your character’s feel. Include a theme (moral premise) that addresses the meaning of life. Engage your reader in a life lesson about values and principles. Create interesting conflicts that pack an emotional wallop. Conflicts that clearly examine human foibles. Have enough twists and turns to keep your readers on full alert. This will keep your audience engaged throughout your novel. Have a vivid ending that will arouse and maybe even disturb your readers. Imagination is a wonderful thing. 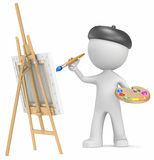 It can bring life to your thoughts and paint images on a blank page. You want to build pictures with your words that show insights into humanity, characters and emotions. 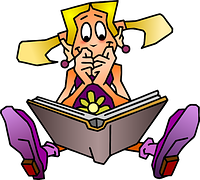 Engaging your audience in your story is the secret to writing a great book. If you dream of becoming a bestselling author, put the time and work into it and keep at it. Learn the craft. Enjoy the journey. Be prepared for the long haul. You can check out our article about increasing your creativity. We do understand how hard it is to be a creative writer. If you enjoyed this article please share it with your friends. It’s just a few clicks. Your fellow writers will thank you. This entry was posted in Articles for Writers and tagged book, book writing, creative writing, fiction, fiction writing, write a novel, writer, writing, writing fiction. Bookmark the permalink.